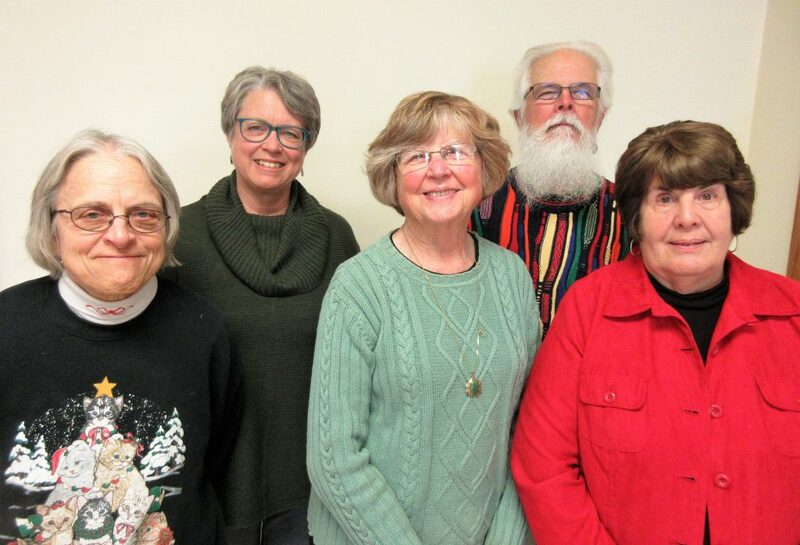 JEFFERSON, Iowa, Dec. 2, 2017 — The nominees for 2018 officers and members of the board of directors of the Greene County Historical Society were approved by unanimous acclimation of the membership on Friday, Dec. 1, when the organization had its annual business meeting at the Greenewood Center here. Serving as president for a third year will be Dale Hanaman, of Rippey. Other officers elected are Nancy Hanaman, of Rippey, vice-president and program director; Joyce Ausberger, of Jefferson, secretary; Becki Cunningham, of Paton, treasurer, and Ces Brunow, of Jefferson, as past-president. The executive director Roger Aegerter, of Jefferson, is a hired employee, not an elected official, and he will continue in his position. The 2018 officers of the historical society are (left to right) Nancy Hanaman, Ces Brunow, Joyce Ausberger, Dale Hanaman and Becki Cunningham. Two new members of the board of directors were elected — former secretary Margaret Hamilton, of Jefferson, and Cindy Deal, of Jefferson. They will join the following on the board: Nick Foster, of Jefferson; Carol John, of Jefferson; Dallas Schrader, of Jefferson; Paul White, of Churdan, and Chuck Offenburger, of Cooper. The elected officers are also members of the board. The “community contacts” for the historical society — the people who take RSVPs and other messages for the organization — are Dawn Rudolph, of Scranton; Janice Gilley, of Grand Junction; Marilynn Hoskinson, of Jefferson; Virginia Carlson, for Paton; Liz Guess, Churdan; Bette Molle, Cooper, and Mary Weaver, Rippey. Acquisitions: Roger Aegerter, Janet Durlam, Diane Piepel, John Turpin. Artifact Database: Margaret Hamilton, Abby Hamilton. Building Oversight: Roger Aegerter, Paul White, Dallas Schrader. Educational Outreach: Janet Durlam, Roger Aegerter. Exhibits: Janet Durlam, Diane Piepel. Fairgrounds Facility & Threshing Bee: Nick Foster. Programs: Nancy Hanaman, Ces Brunow, Chuck Offenburger. Public Relations: Chuck Offenburger, Ces Brunow. School House: Marilynn Hoskinson, Becki Cunningham. The business meeting was held after members joined those dining in the congregate meals program for a big lunch. And 10 players in a “Saxophone Ensemble” from the Greene County High School band program provided excellent holiday music during the luncheon. JEFFERSON, Iowa, Nov. 20, 2017 — The Greene County Historical Society will meet Friday, Dec. 1, in Jefferson to close its 2017 programming, elect officers & board members for 2018, and celebrate the holidays. Lunch is at 12 noon at the Greenewood Center, 401 West Greenewood Road, with the business meeting following about 1 p.m.
There’ll be holiday music during and after the meal, from 12:30 to 1 p.m., provided by Greene County High School band members, directed by Wes Anderson. Nominated as officers and board members for 2018 are Dale Hanaman, for re-election as president; Nancy Hanaman, vice-president; Joyce Ausberger, secretary; Becki Cunningham, treasurer; Ces Brunow, as past-president. Others nominated for the board are Margaret Hamilton, Nick Foster, Carol John, Dallas Schrader, Paul White and Chuck Offenburger. Executive director Roger Aegerter is hired, not elected, and is an advisor to the board. Additional nominations will be accepted from members at the meeting. Printed newsletters with a 2017 recap and the schedule of meetings & programs for 2018, will be distributed at the Dec. 1 meeting, and will be mailed subsequently to members who are not at the meeting. The lunch is $8 for historical society members, $10 for non-members. The members should phone reservations to their community contacts by 2 p.m. on Wednesday, Nov. 29. Others can RSVP for lunch by calling Nancy Hanaman at (515) 436-7684. 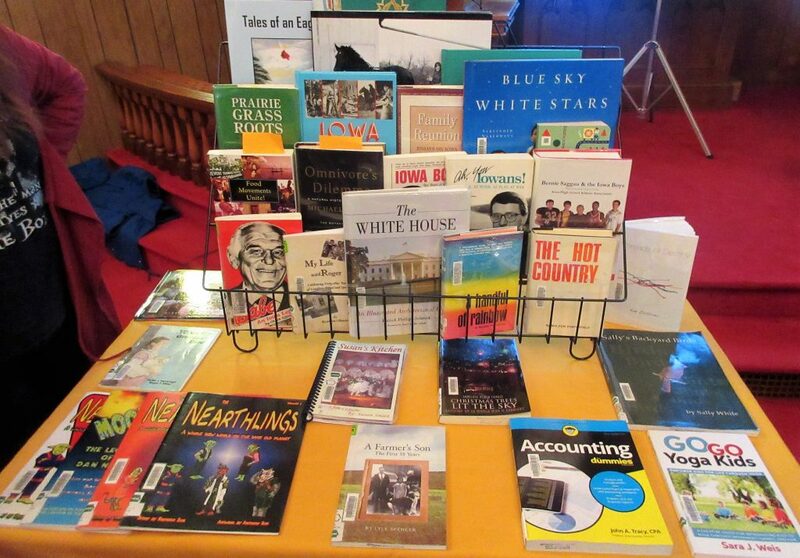 SCRANTON, Iowa, Nov. 4, 2017 —If you were among the 45 people attending our Greene County Historical Society program on Friday, Nov. 3, at the United Methodist Church here in Scranton, you almost certainly came away with a half-dozen or more books that you’ve now put high on your reading lists. Jane Millard, director of the Jefferson Public Library, gave an outstanding program on “Greene County authors.” She highlighted 45 of them who, collectively, have written more than 100 books, and she says she knows there are several more, maybe many more. In putting the program together, Millard built an actual file on authors with Greene County roots or ties, and she now has that available for the public reference at the library in Jefferson. And she says her intent is to have a whole section at the library for local authors. She said it’s not exclusive. 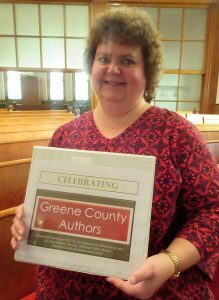 The works she has collected so far from Greene Countians begin early in the 20th century, but some are new in the past two years, and she knows of a couple new books coming out in 2018 from Greene County authors. –One of those is Robert Harned, now of Brooklyn NY, who in 2015 published a book about his mother Sally Phipps, a head-turning beauty who was a star in the silent movies of the 1920s and early talking movies of the 1930s. Her second husband was Alfred Harned, who was born and raised in our Grand Junction. Phipps, in her heyday, was the talk of the movie industry in Hollywood and of all of show business in New York City. Quick browsing indicates her life was in many ways a sad, perhaps tragic one, but nevertheless very interesting. –Another surprise to most is a 2016 book by Fred Monthei II, now of South Yarmouth, Mass., called “Iowa Farm Wife.” His grandmother Anna Cox Monthei lived out her life on a Greene County farm, and one remarkable thing about her was that she always kept a camera and often took photos of life and work happening around the farm — more than 1,600 “stunning photos of her everyday life,” as Millard described them. After she showed her visiting grandson Fred the 50 years’ worth of photo negatives stored in her attic, he made mental note to do something about them eventually. He now has done that, publishing more than 150 of them in what looks to be an excellent coffee table-type book that the library has available. Those are just two of the authors and their books that Millard has now made many more people aware of, with her thoughtful program for our historical society. And as we said in starting, she has probably just changed the reading lists of Greene Countians for the near future. Jane Millard (left) had help during her presentation on Greene County authors from three other staff members from the Jefferson Public Library. Two of those with her here are Dorothy Hadley and Terry Clark. They were helping project book covers and author information on a screen and also displaying the actual books. Library staff member Sarah Schwery displays Robert Harned’s book on his grandmother Sally Phipps, a famous “flapper” in the 1920s and early ’30s who starred in many silent movies and a few “talkies,” too. Sally Phipps was married to Alfred Harned, a native of Grand Junction. 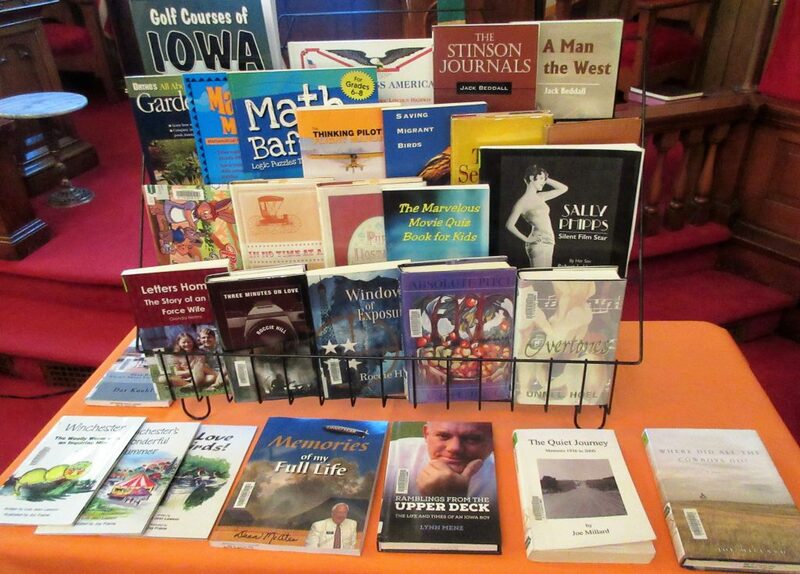 One group of books by authors with Greene County ties. Second group of books by Greene County authors. 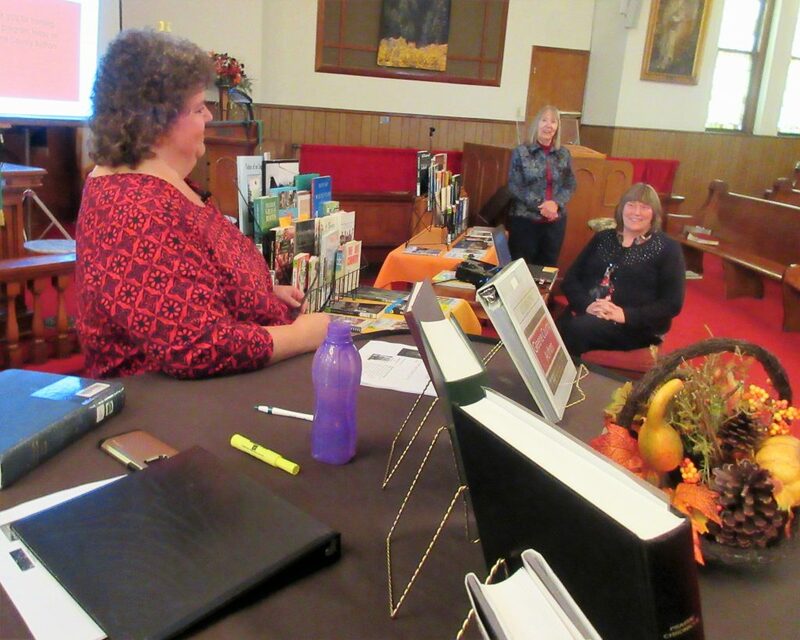 SCRANTON, Iowa, Oct. 31, 2017 — When Jane Millard, director of the Jefferson Public Library, began a search in recent years to identify all book authors with Greene County roots or ties, she was pleasantly surprised. She’ll share stories about those she already knows in a Greene County Historical Society program on Friday, Nov. 3, at the United Methodist Church here in Scranton. 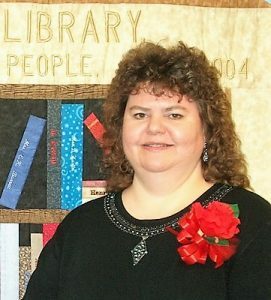 Millard, a Jefferson native who has worked at the library since 1989 and has been its director since the year 2000, said her research project started when there was an all-school reunion in Jefferson in 2013. That gave Millard the idea to expand her search for authors from all of Greene County. She’ll have books on display at the historical program. Some of the authors were doing their writing as early as the 1940s. Some are writing today. She said she not only wants to know about Greene County authors, she also wants to collect their books to have available in the library, along with books by authors from across Iowa. A lunch at 12 noon in the church hall in Scranton is $8 for historical society members, $10 for non-members. The members should phone reservations to their community contacts by Wednesday, Nov. 1. Others can RSVP for lunch by calling Nancy Hanaman, vice-president of the historical society, at (515) 436-7684. The program at 1 p.m. in the church sanctuary is free. RIPPEY, Oct. 1, 2017 — Nancy Bardole Hanaman and Cindy Anderson Cole grew up as daughters of the competing bankers in the town of Rippey. They’ll come together to share the fascinating banking history of the community in a Greene County Historical Society program on Friday, Oct. 6, at the United Methodist Church in Rippey. Hanaman, an East Greene High School graduate in 1964, now lives just outside Rippey. Cole, a 1972 East Greene graduate, lives in Omaha. Hanaman’s father Clark Bardole was at the old First National Bank, which was the predecessor of today’s Peoples Trust & Savings Bank in Rippey. Cole’s father was Walt Anderson at the old Rippey Savings Bank, which preceded today’s Rolling Hills Bank & Trust. And they’ll tell of bank robberies in 1896 and 1967. A lunch at 12 noon in the church hall is $8 for historical society members and $10 for non-members. The members should phone reservations to their community contacts by Wednesday, Oct. 4. Others can RSVP for lunch by calling Hanaman, the vice-president of the historical society, at (515) 436-7684. The program at 1 p.m. in the church sanctuary is free. JEFFERSON, Iowa, Sept. 25, 2017 — Alma Shorey Young was recognized as the only woman running a grain elevator in America when she was general manager for grain at Milligan Bros. in Greene County from the 1950s into the ’70s. The Greene County Historical Story presented her story this past summer during a “history chat” at the county fair. It was videotaped for later telecast by Jefferson Telecom, and a copy of the program was sent to Young, now 91, at her home in an assisted living facility in Mountain Home, Arkansas. So she and nephew David Schmidt, 64, a native of Jefferson who is now a rancher and builder in north central Arkansas, are driving to Greene County this coming weekend, Sept. 29-Oct. 2. They will be staying at the Cobblestone Hotel & Suites in Jefferson. 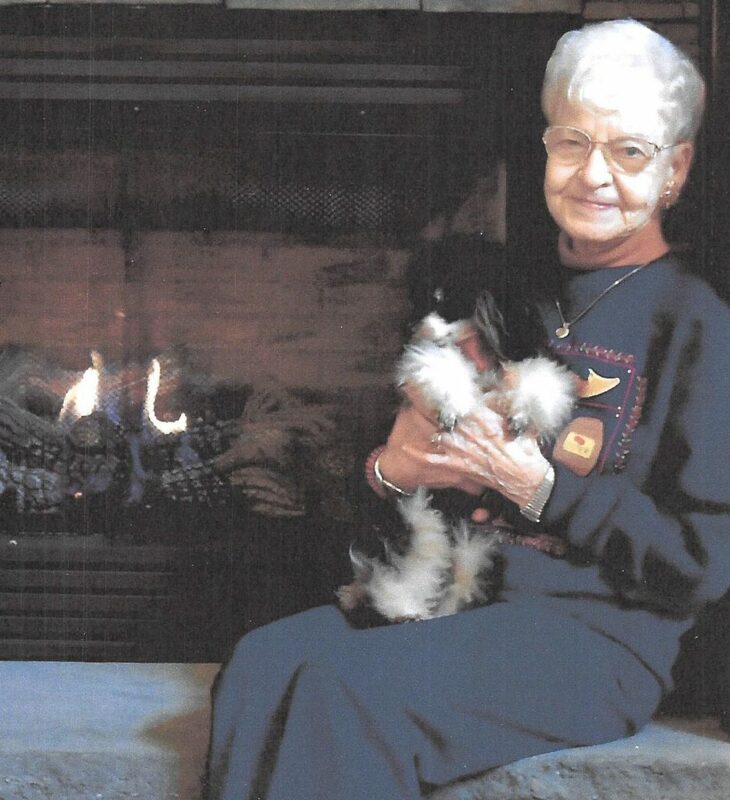 Alma Shorey Young, holding a favorite “therapy dog,” at RiverLodge Assisted Living in Mountain Home, Arkansas. And the historical society is hosting a public reception in Young’s honor this Saturday, Sept. 30, at 10 a.m. at the museum in Jefferson, to see old friends and make some new ones. The event and refreshments are free to the public. About 10:30 a.m., there will be a short program about her business career and life, with Young being questioned by retired news reporters Chuck Offenburger and Jerry Roberts, both of the historical society. They were moderators of the history chats at the fair this past July. It’s been nearly 40 years since Young has been involved in a grain harvest, but if the weather is good Saturday early afternoon, she’ll be riding in the combine being used by the team from Lawton Farms in the Cooper-Greenbrier area. She’ll make a visit to the former Milligan Bros. elevator that she once operated on the edge of the Greene County Fairgrounds in Jefferson, where it is expected to become an agricultural and historical landmark. And then she’ll have a mid-afternoon briefing by the staff at Landus Cooperative’s huge facility in Jefferson. To complete the corporate history involved here, Milligan Bros. was a successor company to the “D. Milligan Co.,” which was founded in Jefferson in 1905. By the 1930s, they owned 14 grain elevators and lumberyards in western Iowa, and they also sold coal. Alma Fuller Shorey, a native of Farnhamville, joined Milligan Bros. about 1952 as a secretary, learned the grain business from Bob Milligan, and by 1959 was named the general manager for grain. She continued in that position until about 1975. Milligan Bros. was acquired in 1977 by the Farmers Cooperative Association, headquartered in Ralston. Two years later, Farmers Cooperative also acquired the larger cooperative in Boone and then became “West Central Cooperative.” In April 2016, West Central merged with “Farmers Cooperative,” which earlier had operated from Farnhamville, and became Landus Cooperative with headquarters in Ames. Larry Thomsen, of Jefferson, a retired West Central executive, came to know and respect Alma as a competitor when he was starting his own career. Alma’s marriage to Lyle Shorey ended in divorce, and in the 1960s she married Bob Young. They adopted a son, Alan, and that’s when Alma decided to leave the workforce. The Youngs moved first to Twin Lakes in Calhoun County. In 1978, Alan died in a car wreck at a rail crossing. In the early 1980s, Bob and Alma Young moved on to Arkansas, where Bob died later in the ’80s. She also said she is looking forward to some gaming at Wild Rose Casino & Resort while she’s visiting Greene County this weekend. JEFFERSON, Iowa, Sept. 19, 2017 — One of the most significant anniversaries in Greene County history passed recently with little formal observation, and the Historical Society plans to make right on that this Sunday with a program on “150 years of railroading” in the county. Mike Wendel, director of the James H. Andrew Railroad Museum & History Center in Boone, will present the program at 2 p.m. at the Greene County Historical Museum in Jefferson. Admission and refreshments are free. That outstanding five-year-old railroad museum in Boone, built adjacent to the headquarters of the very popular Boone & Scenic Valley Railroad, is named after the late “Old Jim” Andrew. He was the Jefferson farmer, railroad collector and county historian who died at the age of 93 in 2014. It was his eye-popping collection of railroad memorabilia and information that fills most of the museum in Boone. 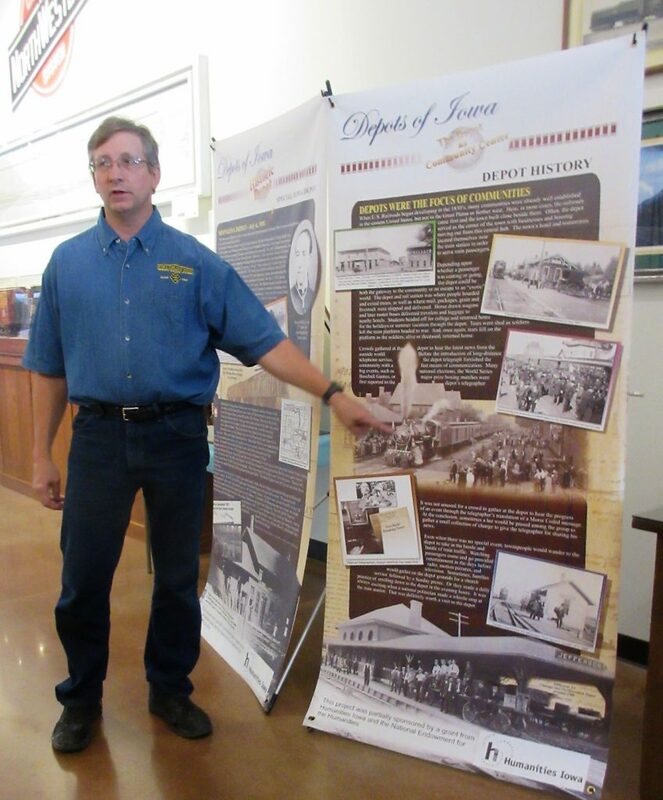 Mike Wendel, director of the Andrew Railroad Museum in Boone, is shown here explaining one of the displays. He speaks at the Greene County Historical Museum on Sunday, Sept. 24. Wendel will talk about how the various railroad companies helped organize and map most of the towns in the county as they pushed their rails in all directions on rights-of-way that were granted. Stylish depots were built in many of the communities to serve passengers and shippers of livestock and other freight. Today the county is served by two rail lines, both operated by the Union Pacific. The very busy east-west mainline uses the original route through Grand Junction, Jefferson and Scranton. There is also the line operating north from Grand Junction through Dana and Paton. The former north-south Milwaukee Road rail route from Jefferson south through Cooper is now the beautiful Raccoon River Valley Trail for bicycling, walking, running and other outdoor recreation. The inspiration for this Sunday’s program at the historical museum in Jefferson was a column by Rick Morain in the Jefferson Herald in June, 2016. In it, Morain took note of several important anniversaries that were near, including the 50th of the Mahanay Memorial Carillon Tower, the 100th of the Greene County Courthouse, and the 150th of newspapers in the county. He also quoted the Jefferson Era, the newspaper that preceded the Jefferson Bee, in its portrayal of the importance of the moment. CHURDAN, Iowa, Aug. 23, 2017 — The deep historical roots of quilting, as well as its mushrooming popularity today, will be the subject of the Greene County Historical Society program on Friday, Sept. 1, at St. Patrick’s Catholic Church, Cedar, located about five miles west of Churdan. Suzanne Sievers, owner of The Stitch quilt shop in Jefferson, will be presenting and is bringing along a special guest, Jeanette Harms, of Panora, who will display some quilts dating to the 1800s in her family. Harms will tell how those quilts were found in her grandmother’s attic, as well as talking about the techniques quilters used back then. A lunch at 12 noon in the St. Patrick’s basement is $8 for historical society members and $10 for non-members. The members should RSVP to their community contacts by Wednesday, Aug. 30. Others can RSVP for lunch by calling vice-president Nancy Hanaman at (515) 436-7684. The program at 1 p.m. in the church sanctuary is free. 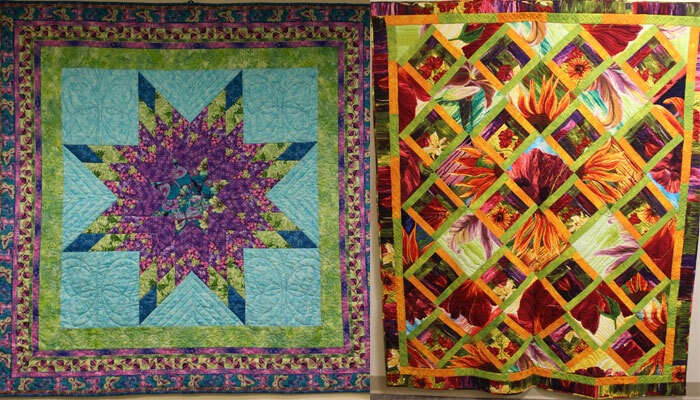 Quilts by Suzanne Sievers, of Jefferson, hang as art in the Greene County Medical Center, where they are displayed on rotation on a wall in the outpatient lobby. 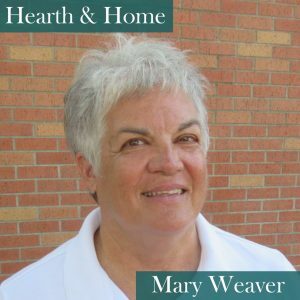 She was a high school home economics teacher for 25 years – three years in Walnut and 22 at Jefferson-Scranton — before she got into the business of quilting. In 2006, she opened The Stitch in Jefferson – it’s now next door to the Greene County Historical Society – and it’s become one of the busiest quilt shops in central Iowa. She met Jeanette Harms as a customer. Sievers said her own presentation will address how quilting techniques and tools have changed. She’ll show some of her own quilts and demonstrate a couple of tools. “I also have some interesting facts about who today’s quilter is, the amount of money they spend each year on quilting, and how much a quilt costs to make today,” she said. RIPPEY, Iowa, Aug. 23, 2017 — I have long been interested in identifying a “Sears” home that could be featured in my “Hearth & Home” column for the Greene County Historical Society. Several different elders were approached, and I finally identified one just three miles south of my home, the residence of Ben and Midge Vannatta. 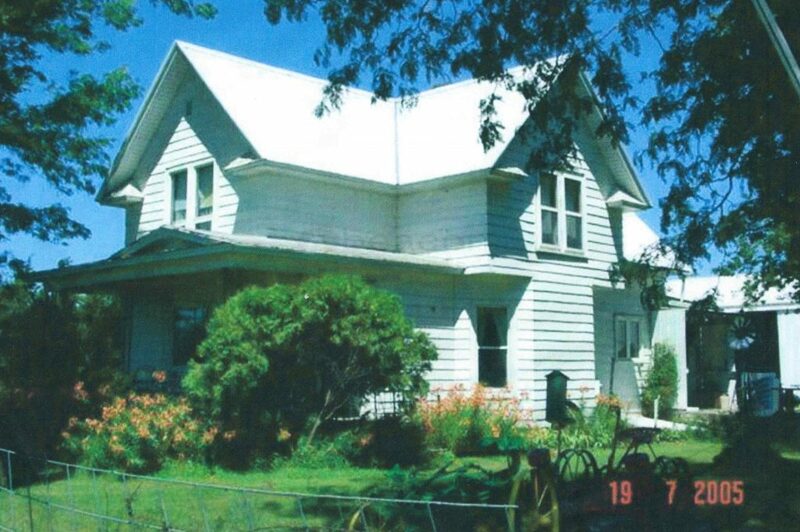 Their home was built in 1910. They were not all from Sears, Roebuck & Company. Aladdin, Montgomery Ward, and up to 10 other companies sold homes nationally, and the research indicated some were produced locally and stayed locally. Copies of catalogs found on the internet, promised, “A man of average ability could assemble a home in 90 days.” A 75-page manual, along with blueprints and up to 750 pounds of nails, accompanied the order. The homes were sent by railroad box car, and one of the ads shows a horse-drawn buckboard picking up the lumber at the depot. Dependent upon house size, there could be between 10,000 and 30,000 pieces of wood. The lumber was numbered sometimes with a grease pen, sometimes with a stamp, but all cut and packaged together for windows, doorways, rafters and other components. The Vannatta home was a “Gordon-Van Tine” home. That was a Davenport, Iowa-based company, which began in 1865 as a lumber mill along the Mississippi River, as logs from the north could be transported easily via the river. As railroads were developed, the availability of the Rock Island Railroad allowed the pre-cut wood for homes to be transported both to the East and West. 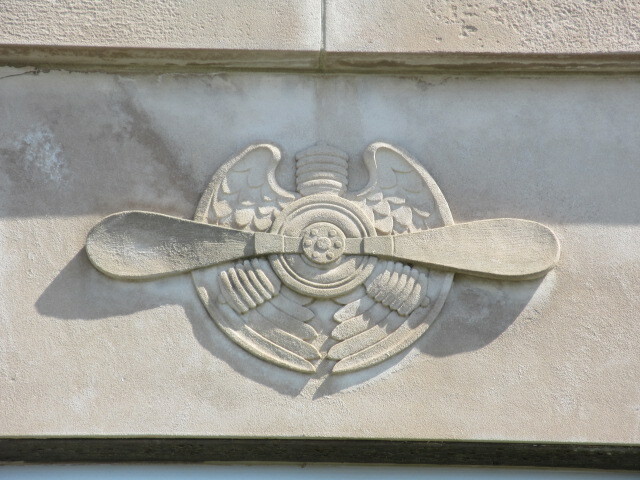 In 1907, Gordon-Van Tine became a subsidiary of the U.N. Roberts Company, a millwork manufacturing company in Davenport. At one time, Gordon-Van Tine (named after its founding partners) employed 350 persons, selling an estimated 54,000 homes under its own name and 20,000 as a sub-contractor for Montgomery Ward. In 1946 the Gordon-Van Tine Company was sold to a Cincinnati salvage company that liquidated the firm. An advertisement in a Gordon-Van Tine Co. publication for the style of home that the Vannattas have today. Ten years later, the home was purchased by George and Sarah Vannatta, the grandparents of Ben. The house was designed to use gas lighting, but Grandfather George replaced that with a Delco battery system. Ben’s daughter Jeannie Vanatta Kotta pointed to her bedroom on a copy of the blueprints from House Model 127 of the Gordon-Van Tine catalog. She and her siblings shared the three bedrooms upstairs (listed as chambers) while the downstairs chamber was used by her parents. You will notice on the blueprint there is a sitting room as well as a parlor. Jeannie said indoor plumbing was installed in the attic. The house plans for the home that the Vannattas now have. In the interview with Jeannie, she further explained she believes the chickenhouse in the barnyard of her childhood home may have also been from the Gordon-Van Tine Company. 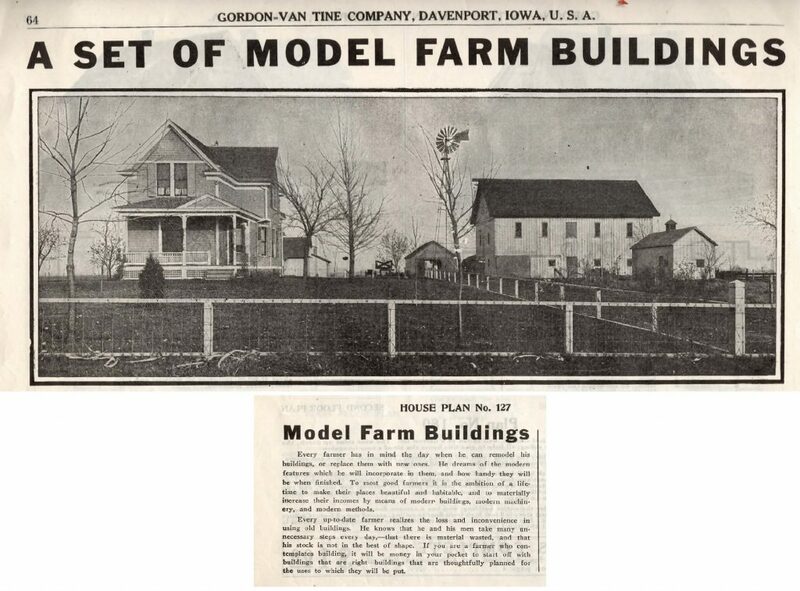 Research for this article indicates that beginning in 1920, the company created a catalog making farm outbuildings available including chickenhouses, barns and corn cribs. Could your home be a “mail-order house”? Look for blueprints, or warranties that came with the house. Check for stamped lumber on exposed beams, or for shipping labels on millwork. Check the abstract for information. My next research project about “kit buildings” is the barn of Dan and Sue Tronchetti, of rural Jefferson. Dan states his barn is a “kit barn,” and I’ll have the story about it in a future column here. The Vannatta home in 2005. You can comment on this story in the space below here, or write directly to the columnist by email at mweaver235@gmail.com. The author, who lives outside Rippey, is an active member of the Greene County Historical Society. 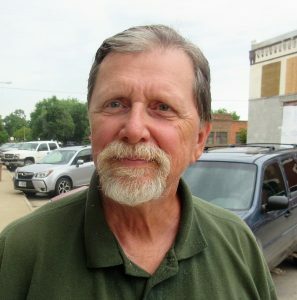 JEFFERSON, Iowa, July 28, 2017 — Roger Aegerter says in 39 years of living in Jefferson within a block of the Lincoln Highway, his curiosity about the historic transcontinental roadway finally caught up with him. And so last October, he took off from his home here and drove about 1,800 miles of the route – all the way to its terminus in Lincoln Park in San Francisco. He’ll share his observations and some photos in a program for the Greene County Historical Society on Friday, Aug. 4, at the First United Methodist Church in Grand Junction. A lunch at 12 noon is $8 for historical society members and $10 for non-members. The members should RSVP to their community contacts by Wednesday, Aug. 2. Others can RSVP for lunch by calling vice-president Nancy Hanaman at (515) 436-7684. The program at 1 p.m. at the church is free. Aegerter, who is in his fifth year as executive director of the historical society, is usually helping organize the programs at the monthly meetings rather than presenting them. But his adventure last fall piqued the wanderlust of many who’ve heard about it. He brings unusual perspective to discussions of the Lincoln Highway. 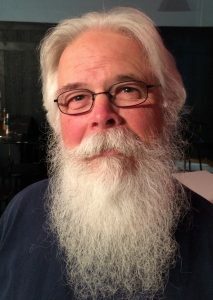 A native of Rockwell City and a graduate of Iowa State University, he’s a former art teacher who is still a working artist today, with his painting and artistic woodworking. He is also a former school curriculum director, elementary principal and superintendent. And in the 1990s, he wrote a 230-page book “Golf Courses of Iowa,” which has been updated in second and third editions. He did the trip last fall quickly – in about 3 ½ days.